Here’s an eye opening article from Manila Times correspondent, MAYVELIN U. CARABALLO, re incoming Bureau of Internal Revenue Commissioner, Caesar Dulay’s immediate revocation of several memorandum orders issued by outgoing Commissioner, Kim Henares. New Internal Revenue Commissioner Caesar Dulay revoked several memorandum orders on his first day in office, particularly the ruling on property sale. Revenue Memorandum Circular 69-2016 signed by Dulay suspends all Bureau of Internal Revenue rulings issued by former Commissioner Kim Henares from June 1 to 30. “The effectivity of all issuances issued within the period covering June 1 to 30, 2016 is hereby suspended until further noticed,” the circular stated. Dulay also issued Revenue Memorandum Order 38-2016 that prescribed the revocation of two of Henares’ last-minute rulings. “After careful evaluation of the guidelines and procedure relative to the investigation of parties in transactions involving the transfer/assignment/sale of properties, Revenue Memorandum Order Nos. 24-2016 and 25-2016 are hereby recalled,” the order said. Dulay said all transactions affected by the order would be governed by pertinent rules existing prior to the issuance of RMO Nos. 24-2016 and 25-2016. Henares, with only few days left before the change of administration, on June 7 issued Memorandum Order 24-2016 and 26-2016 which laid out tax probe rules for property buyers and sellers believed not to have financial capacity to purchase or keep their assets. Another circular issued by Dulay issued prescribed the suspension of most audits by the bureau starting on July 1. “All field audit and other field operations of the BIR relative to examinations and verifications of taxpayers’ books of accounts, records and other transactions are hereby suspended until further notice,” RMC No. 70-2016 said. Dulay also said that no field audit, field operations, or any form of execution of Letter of Authority (LOA) would be conducted except of those with validity expiring on or before October 30 this year. The order, however, said that an LOA can be issued if there is processing and verification of estate tax returns, donor’s tax returns, capital gains tax returns and withholding tax returns on the sale of real properties or shares of stocks together with the documentary stamp tax returns related thereto. Examination and verification of internal revenue tax liabilities of taxpayers retiring from business were also excepted from the order. “However, service of Assessment Notices, warrants and Seizure Notices should still be effected. Also, taxpayers may voluntarily pay their known deficiency taxes without the need to secure authority from concerned revenue Officials,” the order. He also ordered the submission of an inventory of all outstanding LOA and letter notices as of June 30. Dulay set July 16 as the deadline for the submission of the inventory. 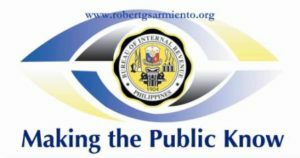 The BIR issues an LOA to inform a taxpayer that he or she is being investigated for possible tax violations.